Rumor has it that Apple is scaling back its production plans for its most recent fleet of handsets – the iPhone XS, iPhone XS Max, and iPhone XR – by around 10%. According to a report by Nikkei, the amended plan is due to slowing demand for smartphones – especially in China, whose weak economy was blamed by Apple for not meeting previous sales targets. On January 2nd, Tim Cook released a letter to investors, claiming Apple had also seen "fewer iPhone upgrades" than initially expected. As ever, Apple has jacked up iPhone prices higher than ever with the new models, at least partially to ensure ongoing returns in a slowing market. 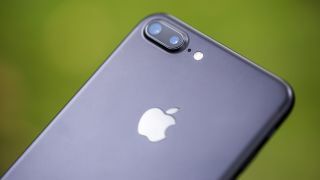 But if even 'affordable' iPhone models like the XR are retailing for £749 / $749 (AU$1,229), with flagship models pushing into four-figure sums, Apple may be testing the determination of its fan base a bit too hard. For all the doom and gloom, Apple is still a trillion-dollar company with an incredible hold on today's consumer market. A small slump in iPhone sales aside, the company has seen good sales of iPads, Apple Watch, AirPods, and Macbooks – with the diversity of products ensuring protection against unexpected dips in revenue. Apple has also been looking to the future with a number of new partnerships with TV manufacturers announced at this year's CES 2019 tech expo: check out the link just below for what this could mean for Apple.